Shay came to work with these luxurious eyelashes. They were so ‘five-star’ that you couldn’t miss them, especially the way she batted them, lol. She told me she could wait to let me see them, so I could get a pair of my own. Shay scheduled an appointment for me on Thursday, so I could surprise EP with my long, flirtatious lashes. Also, remember I am somewhat chicken, so I asked if she would come with. 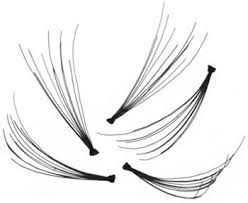 Well the afternoon came when it was time for me to get my engaging lashes. I arrived a few minutes before Shay, so I was a nervous wreck. I was so scared and I don’t know why. This moment reminded me of the time when I get my navel ring…so scared for nothing! I wouldn’t let Kim begin the applying process until Shay got there. Anyhoo, Kim started applying the lashes (individual lashes) unto my lashes. At that moment, my eyes began to tear up. Everyone there said that is a normal reaction to the glue. The more lashes she would apply the more my eyes would water. Kim completed applying the lashes and they looked so good. By this time, my eyes had stopped tearing and the redness weren’t as noticeable. Now, I really couldn’t wait for EP to notice them. When I awoke Saturday morning, my eyes were crusted together and they were hurting. That is when I began the removal process. Now, I could remember Kim saying don’t get your lashes wet or try not to get them soaked in the shower because they will come off. Oh so not true! I tried water. I tried baby oil and I tried soap. 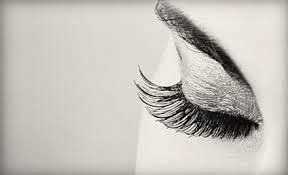 Nothing would remove these lashes! Then my daughter came up with an excellent idea of looking on YouTube for lash removal videos. 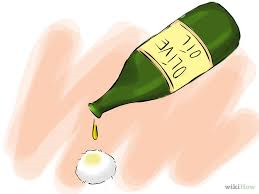 We began searching and came across a video that suggested using olive oil. At this point I was willing to try anything. I began to apply olive oil with a Q-tip as instructed. They wouldn’t budge. I would repeat the steps over and over and still nothing. By this time you could imagine how furious I was. So, I said f’ this, and poured the olive oil on my eyes. Trust me you could have roasted a bird with all of the oil around my eyes. Olive oil was running down my face. Then Hallelujah the lashes, slowly but surely, began to slide off. As a result, I cannot wear lashes that are applied with glue. Apparently, I am allergic to the lash glue; go figure. I think I should have known better, being that I get allergy shots EVERY Wednesday. So from now on, I will live vicariously through Shay and everyone that are able to wear the beautiful lashes.